As a Mobile Foot Care Practitioner, my foot care treatment is structured to make you feel relaxed and your feet more comfortable. Please remember, I’m here to make you feel better. Much of my work is routine. 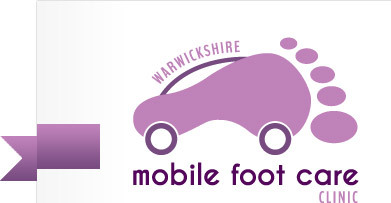 In addition to your treatment, your first mobile appointment will include an initial assessment, including notes taken of any medication you are using, allowing me to safely conduct your foot care treatment and will end with a moisturising and relaxing foot rub. Routine appointments would normally last between 45mins to 1 hour. Foot care problems can occur at any age and if you are less mobile and have difficulty accessing your feet, I can help. Diabetic patients can be susceptible to infections that fail to heal. I will be able to advise you whether you will need regular appointments, usually at intervals of 4-8 weeks and I normally forward book your subsequent appointments on each visit. HOW TO PICK THE RIGHT SHOE? Wearing well fitting shoes will protect the foot by relieving pressure, helping to prevent injury. Seamless shoes with a wide toe box made from leather, suede or canvas will allow the skin to breathe. Flat shoes which have a heel height of, at most, one inch, are the healthiest style for your feet. Look for soles that are shock absorbent rather than smooth and thin. Whilst we all like to wear unsuitable shoes once in a while for special occasions, our day to day footwear should be comfortable, especially if we suffer from foot problems.